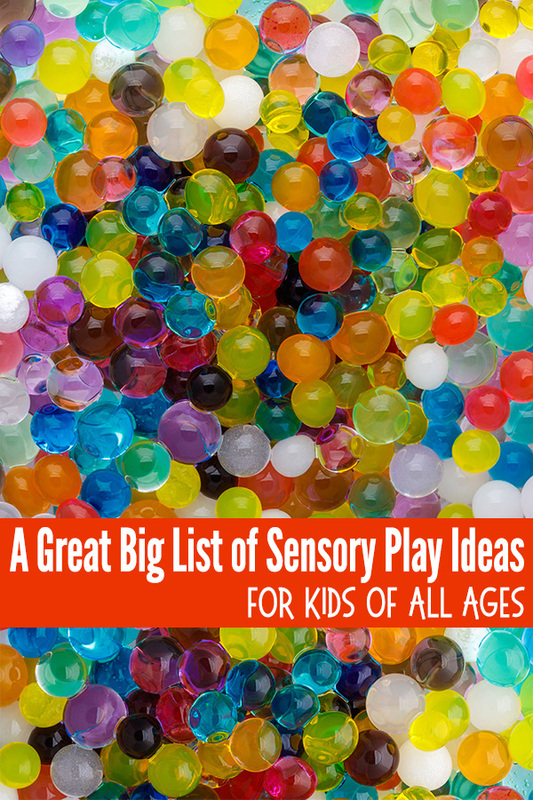 Inside: A great big list of fun sensory play ideas suitable for kids of all ages. 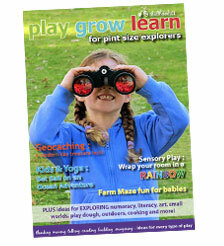 Sensory play is any playful activity that engages one or more of the five senses – sight, touch, taste, smell and hearing. Sensory play is important to brain development as research shows that engaging in experiences that stimulate the senses develops nerve connections within the brain (read more about sensory play and brain development here). 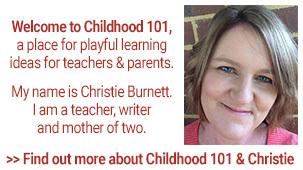 Depending on the type of activity and the frequency of play, it can also support the development of thinking and reasoning skills, scientific and mathematical understanding, fine and gross motor skills, language and social skills. 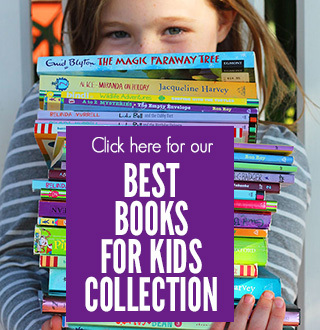 And it can also act as an important stress reliever – for children of all ages. My baby/toddler still puts everything in her mouth? 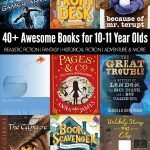 Isn’t my school aged child too old to play? 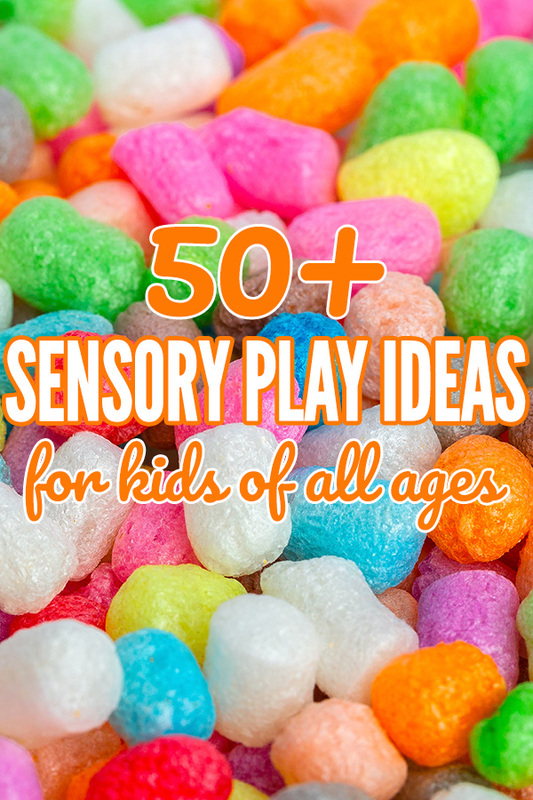 There are sensory play ideas suitable for children of all ages. For babies and toddlers who are still mouthing objects, stick with taste safe options that are not choking hazards. You might try coloured water in a bin, or custard, a little cold cooked spaghetti, or playing with jelly (jello) for something fun. You can see more specific baby and toddler suggestions below. Once children are past the stage of mouthing objects, you can try all manner of different sensory play bases – just be mindful that supervision and some consistent expectations and guidelines about how and where the materials can be used are important. 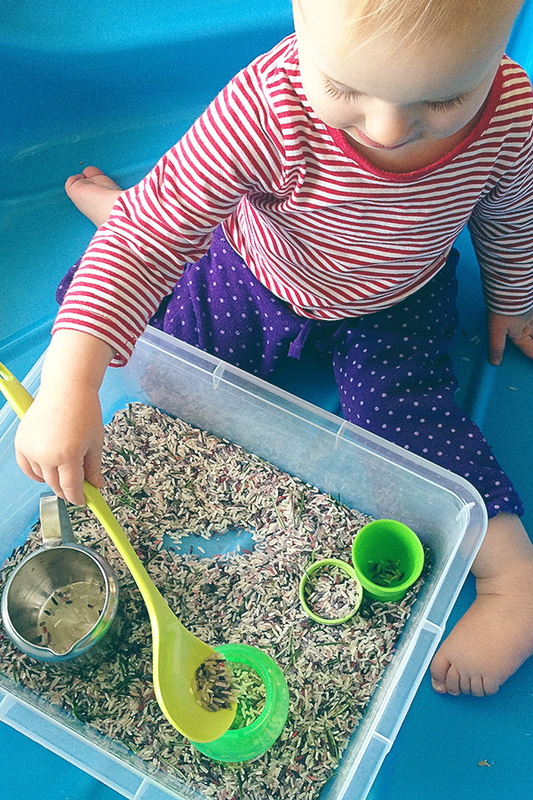 For toddlers and preschoolers, sensory bins are about feeling the textures and manipulating the materials with their hands and simple tools (tongs, spoons, cups, etc). 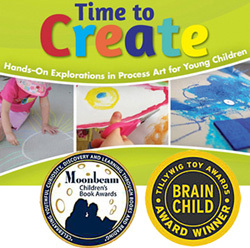 Preschoolers and kindergarteners will enjoy the addition of small toys, such as figurines and vehicles, to add an imaginary/pretend play element to their sensory explorations. 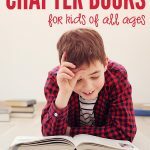 Even school aged children can enjoy sensory play – think of how the slime craze has taken over the world! And sensory play can provide a wonderful form of stress release for children right through to the tween/teen years (who am I kidding, even adults can enjoy running their fingers through sand or pebbles!). What great ideas! 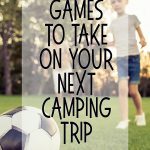 Many of the outdoor games I play with kids are similar to my childhood ones.. Tug of War, Hide and Seek, Egg and Spoon Race, Tag.. Love these fresh ideas, I'm excited to try out with my kids.